The IITA Security Unit organized a seminar on 8 October, to educate, enlighten, and create awareness among staff on the best approaches to ensure a safe and habitable campus at IITA Ibadan. 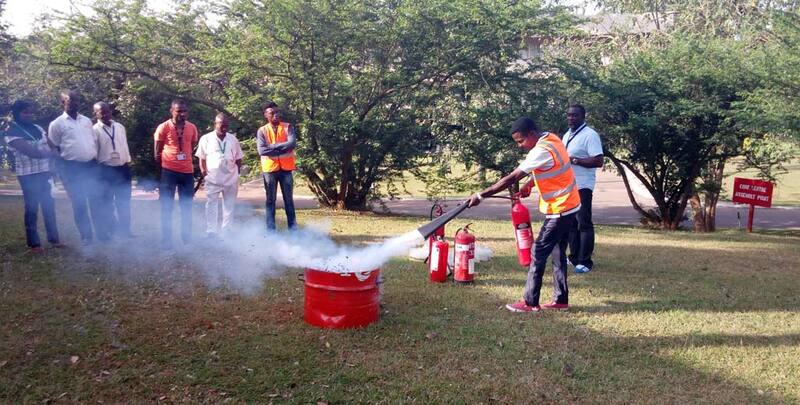 Security Superintendent James Adedayo guiding staff through practical firefighting techniques. The seminar titled “Health safety environment: Fire prevention strategies in a campus environment” was attended by staff and students from different units within the Institute and sought to instill a better understanding on maintaining a safe, accident free, healthy environment as well as equipping members to cope with emergency situations within and outside the campus. The event was facilitated by James Adedayo, IITA Security Superintendent, who encouraged the participants to be alert at all times and ensure that all their operations are carried out within the strictest safety standards. During the plenary session, attendees were taught how to prevent fire outbreaks and its consequences, comply with safety instructions, and effectively use a fire extinguisher. 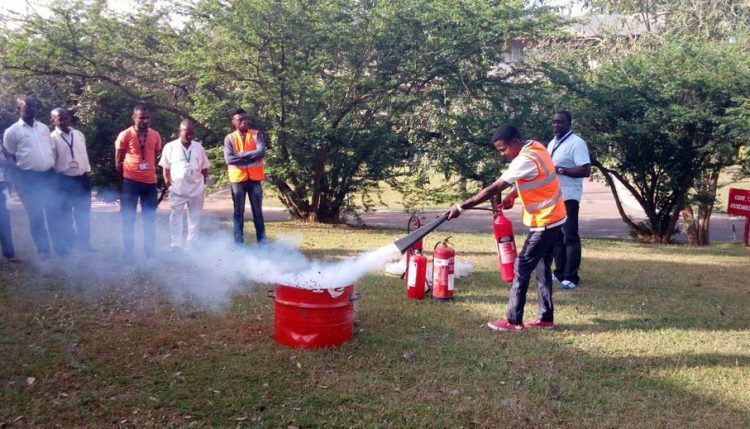 At the end of the seminar, the audience took part in a practical demonstration on how to use a fire extinguisher in case of emergencies.